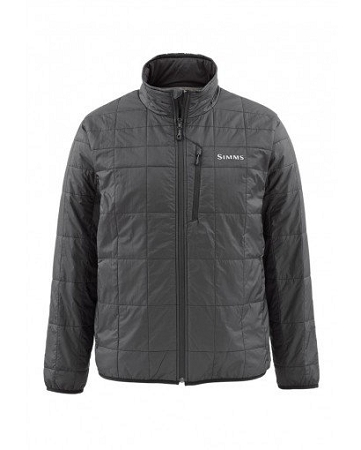 When cold threatens your will to fish, Simms’ Fall Run Jacket delivers lightweight, ultra-toasty inspiration. From bottom hem on up to the wind-stymieing collar, PrimaLoft® Gold insulation kindles the fire within—even when wet—and provides the highest warmth-to-weight ratio of any synthetic insulation available. Brushed tricot-lined pockets cure cold hands, and a zippered chest pocket provides stowage for a small fly box and additional on-the-water essentials.